A bodacious brand of body art. 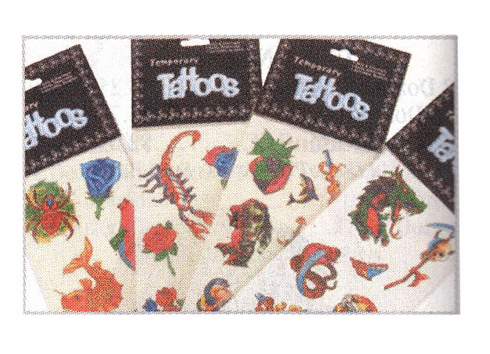 This collection of temporary tattoos features a vivid variety of designs, colors, and sizes. Assortments may vary.